Just a quick #WorkingOutLoud post as the results start coming from the fifth and sixth prototype questions as I design the trust diagnostic. If you read the last few posts you’ll know that what I’m trying to do is not so much quantify trust, a highly subjective concept, but rather enable us to produce a baseline, to understand the opposing pairs, the things that build trust, the things that inhibit or kill it, and the consequences of all these actions. I wrote recently that I was feeling quite bewildered as subjective term nested within subjective term and it felt as though the concept might get away from me. Whilst I still have that feeling, I’m starting to rehearse and prototype my language further, and to get more of a sense of what this framework may look like. Still early days, but I’m encouraged that most, although not all, of the prototype questions seem to be identifying strong preferences or trends. I’ll continue to work out loud as I develop this further, and will write up the results of questions five and six shortly, although I can say in advance, that they give some interesting challenges for organisations to think about. 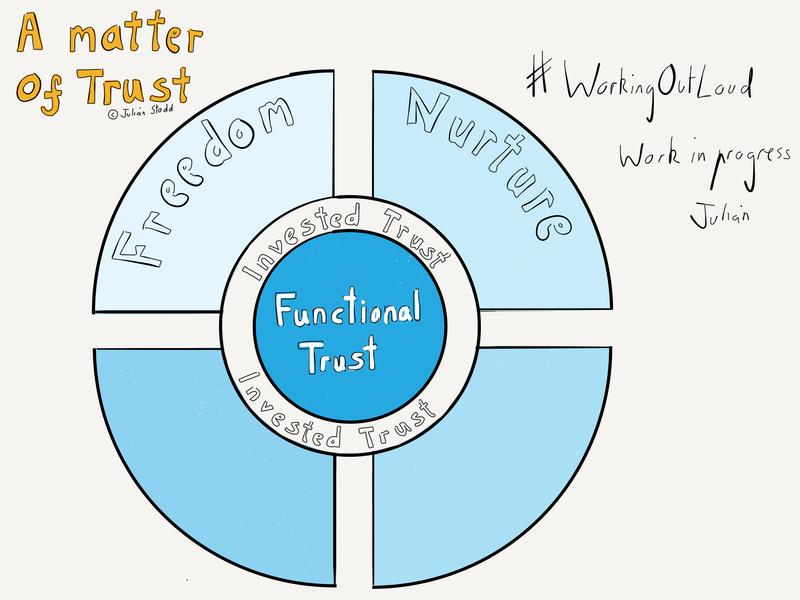 This entry was posted in Trust and tagged HR, Leadership, research, Trust, WorkingOutLoud. Bookmark the permalink.